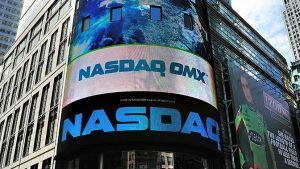 The stock exchange industry has been increasingly active in advocating for smart and strategic disclosure of environmental, social, and corporate governance (ESG) performance data. Investors use these non-financial metrics to evaluate the health, resilience, and sustainability of public companies. And these are no longer the niche investors—those exclusively dedicated to socially responsible investing (SRI) or impact investing. This is common practice at the largest and most diverse investment firms in the world. Up until recently, many investors would examine companies for ESG red flags: dependency on fossil fuels, conflict minerals in the supply chain, doing business in corrupt markets, and so on. Some investors screened out alcohol, tobacco, and firearms companies as a matter of course. But the trend has turned towards an inclusionary – or positive screening – model. In theory, this method can mitigate risk and generate alpha. According to a 2015 report from UBS and the Sustainable Accounting Standards Board (SASB), intangible assets have become the real drivers of company valuation. Fluid dynamics, such as brand value, reputation, health and safety controls, are the necessary components of an investment algorithm. Asset managers believe that sustainability metrics in particular can increase operational efficiency, create more value, and boost brand equity. The audience for this data goes beyond investors. Regulators, index providers, credit rating agencies, and even consumers are asking more questions, digging deeper into the operational efficiency of corporations. Stock exchanges are, in some very fundamental ways, the only institutions that intersect with all of these stakeholder groups – and they, too, have jumped into the fray. The World Federation of Exchanges (WFE), as part of its ongoing commitment to explore sustainable business practices and provide guidance to exchange members, conducts an annual survey on this topic. The most recent data (2015) was provided by 56 stock exchanges, which represents 93% of WFE members and an overwhelming majority of all the exchanges currently operating around the world. Geographically, the survey respondents represented EMEA (43%), Asia Pacific (37%), and the Americas (20%). See the table below for a complete list. Since stock exchanges are diverse in structure and purpose, it is useful to consider the following: 38% of the exchanges listed above are themselves publically listed companies (on their own exchange); 16% are demutualised entities; and 14% are private limited companies, almost exclusively owned by their members. When asked if they had ever received specific inquiries from investors on sustainability issues, 22 exchanges answered affirmatively. In response to this result, the WFE urged member exchanges, “to respond to this heightened investor awareness of sustainability issues by ensuring the stability, fairness, and transparency of their markets and at the same time nurture investor confidence by the provision of information.” This dynamic was central to the survey, in addition to the immediacy and acknowledgement of the perils of climate change. But when you look more closely at specific exchange practices – such as the prevalence of a listing rule or guideline related to ESG disclosure – the results are mixed. Most exchanges enforce corporate governance requirements for their listed companies, but very few go further than that. Only six exchanges had their own ESG-related listing rules on the books at the time of the survey. This number has since grown to ten exchanges. Another 26 have some related sustainability guidance, mostly driven by market regulators or local lawmakers, but most of those are voluntary disclosures. 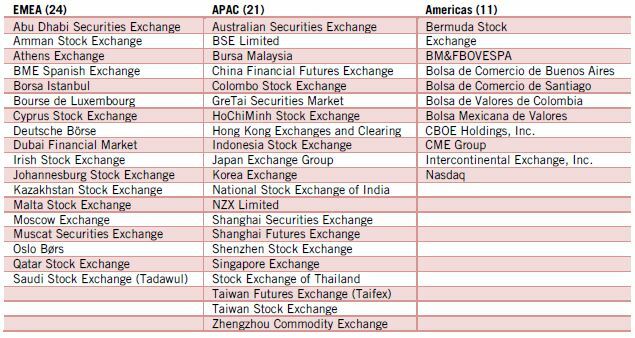 And it still leaves 24 exchanges with no rules and no explicit guidance for listed companies related to sustainability. Even the most progressive exchanges are not likely to be stewards of this corporate disclosure data. Most exchanges (84%) counsel public disclosure of the required data, either in part or in full. The survey also highlights the value of a “comply or explain” rationale; BM&FBOVESPA (Brazil) and the Johannesburg Stock Exchange both leverage this approach. It requires companies to either disclose specific metrics – GhG emissions, for example – or publish a reasonable rationale for not doing so. Exchanges are more than just listing venues. Many of them are also financial product innovators, especially when it comes to the indexing business. Exchanges have created or licensed thousands of indexes, but very few that depend on ESG or sustainability inclusion criteria. There were 21 such indexes in operation at the time of the WFE survey. That number has grown over the last year as well. 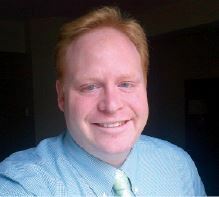 Evan Harvey is the Director of Corporate Responsibility for Nasdaq. He also serves on the Board of Directors for the UNGC US Network and chairs the Sustainability Working Group at the World Federation of Exchanges.